The Clover Armor set has come to the Diamond Shop every year during March since 2015. You can’t get much luckier than being covered in clovers. I can’t think of a better way to celebrate Lucky Day than by wearing this armor set! 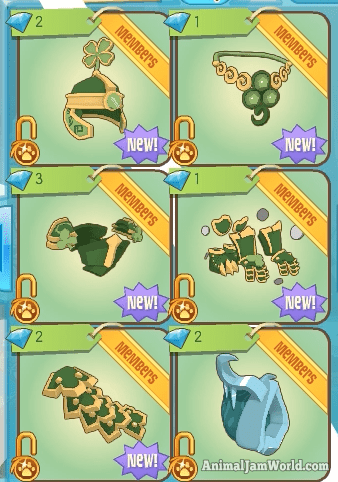 The clover armor set is only available for members and it’s for sale at the Diamond Shop during the month of March. The set has 5 different pieces which each cost 1-3 diamonds. The total cost is 9 diamonds to buy the whole set. 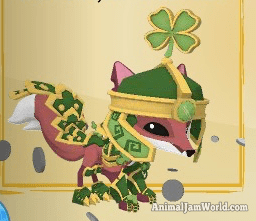 You’ll definitely be feeling lucky while you’re wearing the clover armor. 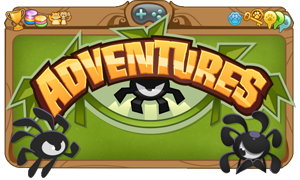 Everywhere you go, coins will be flying out of your armor! 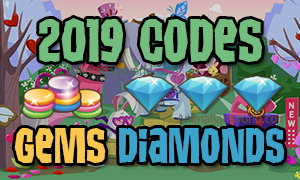 It’s too bad they’re not real gems because that would be an awesome way to spread the luck to other Jammers. The whole set can be found at the Diamond Shop and it looks like this. Once you put on all 5 pieces of clover armor you’ll be the luckiest Jammer there is! 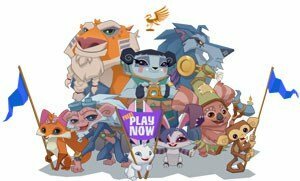 Time to go play some games and put that luck to use! 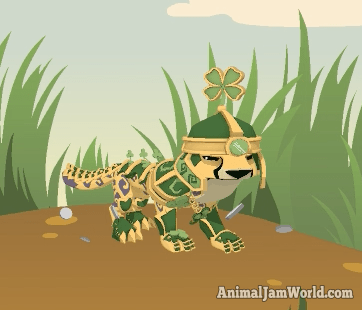 A lot of Jammers out there are looking for clover armor codes to get the armor set for free. 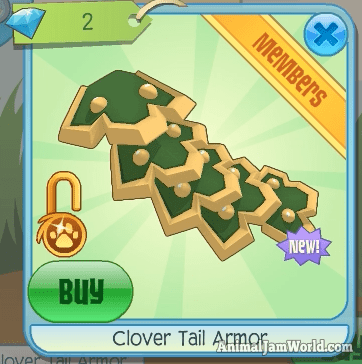 Unfortunately as of right now I don’t know of any working codes for clover armor but I will be sure to post them here if I find any! If you know of any working clover armor codes please share them in the comments. 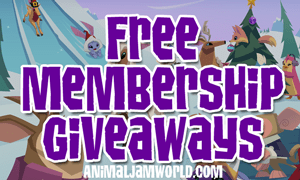 The quickest way to get the clover armor would be to get an Animal Jam membership. Every day members get to spin the diamond daily spin so they automatically get at least one diamond every day! If you log in multiple days in a row, you’ll get even more diamonds and will have a set of clover armor in no time. 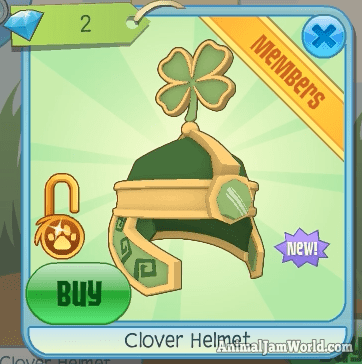 The other way to get the clover armor items would be to trade with other Jammers. 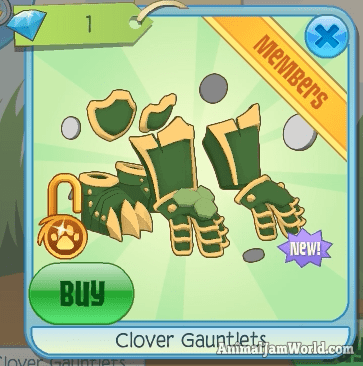 Ask around and see if anyone has any clover items that they want to trade. You just might have an item they’ve been looking for too! I’ll continue to look for clover armor codes and think of other ways to get the set. If you know of any codes or have any other ideas for how to get the clover armor, please post them here. 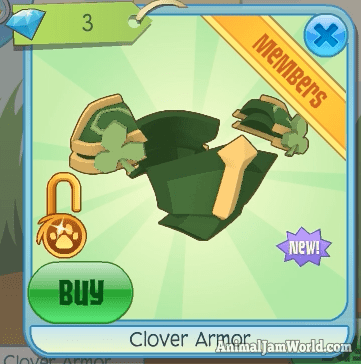 Also if you are looking to trade for clover armor, comment below with what you have! 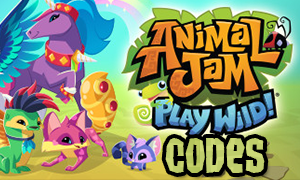 SIX New Animal Jam Codes for May 2017 - Finally!! 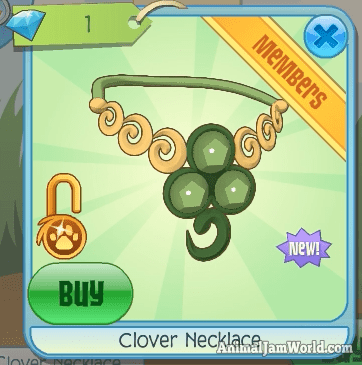 PLZ AJHQ give me clover items because i dont have any rares.